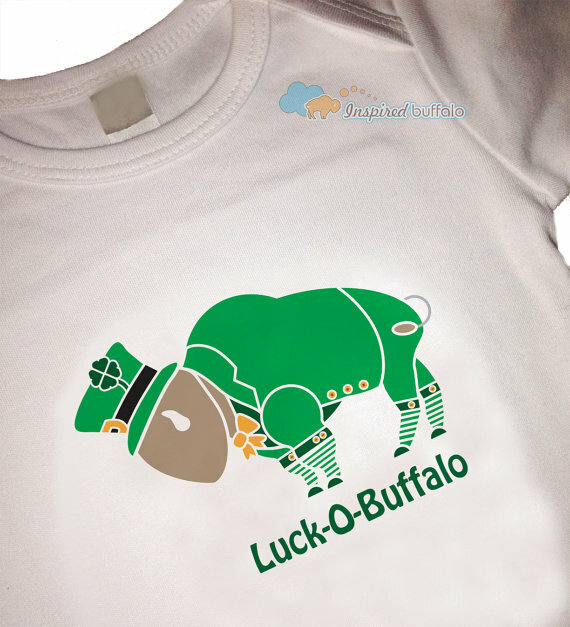 Here’s a lucky buffalo that’ll make a great St. Patrick’s Day in Buffalo t-shirt. This can be for someone from Buffalo, NY or someone who just loves buffaloes. It’s printed using eco-friendly, water-based inks — much nicer hand-feel than traditional plastisol ink. Comes in black or navy. Here’s a lucky buffalo that’ll make a great St. Patrick’s Day t-shirt for the big guy. This can be for someone from Buffalo, NY or someone who just loves buffaloes. It’s printed using eco-friendly, water-based inks — much nicer hand-feel than traditional plastisol ink. Comes in black or navy. Be the first to review “St. 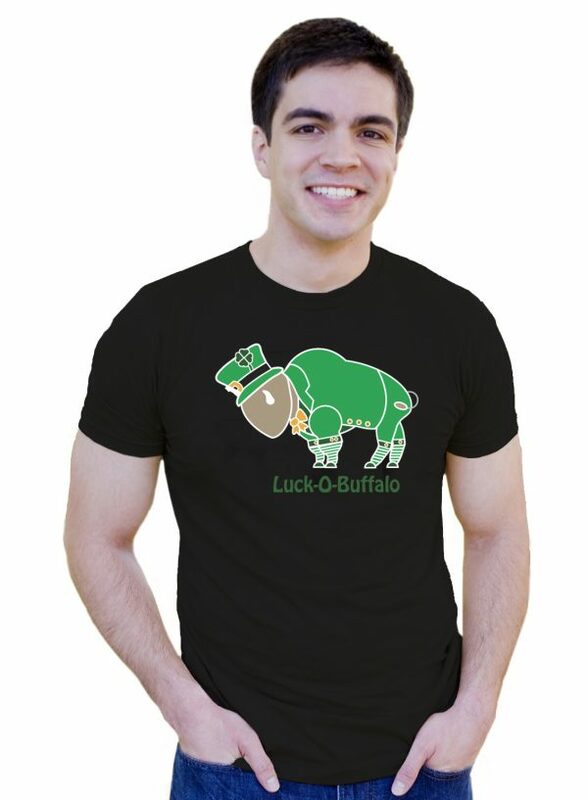 Patrick’s Day in Buffalo T-Shirt (unisex)” Click here to cancel reply.